A first-in-the-nation program offering a range of medications to Rhode Island inmates who are addicted to opioids appears to have lowered the number of overdose deaths among people recently released from jail and prison, researchers reported Wednesday. Experts have long advocated for expanding the use of medication-assisted treatment, or MAT, in correctional facilities, but for the most part, jails and prisons remain treatment deserts. Starting in the middle of 2016, however, Rhode Island started rolling out its program and making available to all inmates the three medications approved to treat opioid use disorder. The researchers calculated that officials needed to treat only 11 inmates to prevent one overdose death. “We took action, and now we’re beginning to see some of the results,” said Eric Beane, Rhode Island’s health secretary. People leaving correctional facilities without treatment face incredibly high overdose risks because their tolerance to drugs has dropped and they often reenter the same settings with the same triggers where they used drugs previously. One previous study found that former inmates overdose at rates nearly 130 times as high as the general population in the two weeks after they are released. The researchers acknowledged their data were preliminary and that it was a small study, but said they could not identify other factors that could have contributed to the drop in overdose deaths among former inmates. The number of inmates being released was about the same in the two time periods, and the number of people using drugs did not seem to change. Plus, the opioids available on the street are only becoming more potent, which increases the risk of overdose, they said. 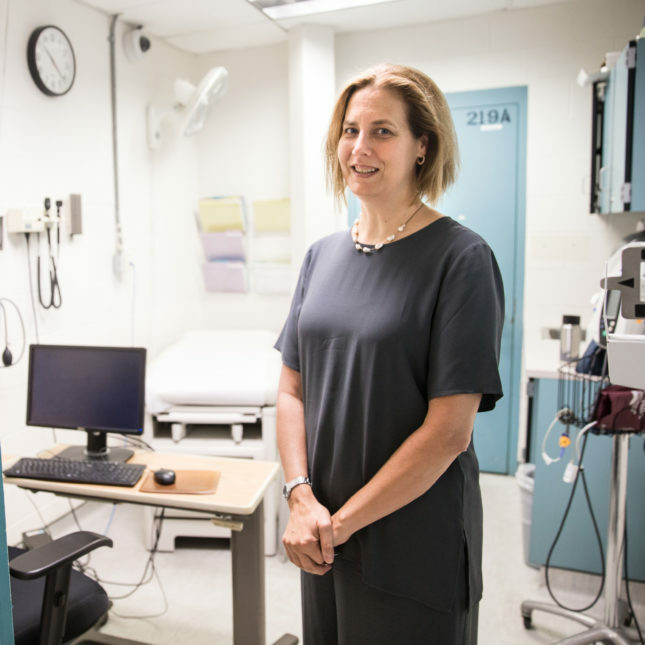 “The MAT program at the prison may be providing us with really good news,” said Traci Green of Brown University and Rhode Island Hospital, who led the new study. Rhode Island has had some advantages as it has developed its program. The state has budgeted about $2 million for it annually, and there are no county jails. All inmates are housed at one campus, which allows them to continue treatment if they move from jail to prison, for example. The program also helps inmates get insured and transition to treatment providers upon their release. Many law enforcement officials have resisted giving methadone and buprenorphine to inmates because they are also opioids — despite the evidence that shows they are effective medications to treat opioid use disorders — and because they worry about the diversion of the medications, particularly buprenorphine, which is also known as Suboxone. Dr. Jennifer Clarke, the medical programs director for the state corrections department, said authorities initially saw some diversion of buprenorphine when the program was providing tablets, but have seen less since they switched to giving inmates a dissolvable film. Rhode Island officials have emphasized the best treatment is the one that an inmate wants to take and will stick with, which is why they offer all three. The researchers reported that in the first half of 2017, 119 inmates received buprenorphine on average each month, 180 took methadone, and four were given naltrexone, also known by the brand name Vivitrol. I watched the program last evening on this program. I am wondering, if there is a way to ween these persons off of the alternative drug over a period of time? They did not touch upon this in the article or the documentary. Does anyone know? medically assisted treatment is NOT treatment.,it’s only a band aid. Prisons should offer real recovery services to inmates including 12 steps, counseling, yoga, job skill and life skill training WHILE they have housing and food in prison. Recovery from addiction is multifaceted and long term. Substituting one drug for another keeps them addicted AND fuels pharmaceutical companies profits. This is not a solution! I think the best chance is to combine the MAT with all the behavioral strategies you suggest. I would love to see a both/and approach with addiction rather than an either/or. Addiction is a chronic disease and like most others is best treated with a combination of medication and behavioral changes. Your comment is simply wrong and it is irresponsible. Methadone is treatment. When you look at the evidence and outcomes Methadone is the GOLD STANDARD for treatment as well as provides A protective factor for overdose. 12 step treatment has less than a 5% success rate and by most standards would not and is not considered a medical treatment. People who are detoxing and then binging are at extremely high risk for overdose death. I know all too well what happens when people believe that methadone and or suboxone are some form of second-class recovery/treatment. PEOPLE DIE. The evidence is very clear about MAT. It works. We don’ say to people how did you overcome your depression. Did you take Celexa or some other antidepressent?? Well that is not real recovery….!!! No one cares how you show up for your life, your family, etc. They are just glad you did. Harm Reduction strategies saved my life and I know they have the power to help others make positive changes. Recovery is about the process, not some final destination. Celebrate the small victories because life is tough. Typical misleading justification for giving opiates to people in prison. As a detox drug? Fine, but putting them on methadone and then claiming a great success in that they don’t overdose when released is misleading. The reason they don’t overdose is because their tolerence – their dependence on opiates has been upregulated so high they wont overdose. So what then? Opiates forever? I escaped from the false promise of Methadone 30 years ago and I know what harm it does. It took several years before I felt halfway normal again. You are completely incorrect asserting suboxone prevents OD through tolerance. The smallest dose of suboxone occupies the nerve receptor so thoroughly other opioids are unable affect the user and, suboxone is a partial agonist. I was a correctional nurse for 5 years. Before smoking was stopped the inmates would crush any medication and put it in their cigarettes. They had it all figured out how to abuse drugs. One thing they were not allowed was opiates. I don’t doubt that there was a problem with over doses. Why in he world would you give them opiates ? If you asked all of them were in terrible pain but during rec they could get out there and play basketball. Sounds to me like you were asking for trouble. Relapse is a very real and deadly threat for addicts leaving prison. Of those in from the civilian population who quit opioids cold turkey, less than 5% are still abstinent 5 years later. Why would those statistics change for inmates? Suboxone (and methadone) offer a way to prevent over dose death and, of those that do quit using these medications, 65% are still abstinent 5 years later. In answer to your question, you give them opiates to save their lives. I truely feel that it is a grave miscarrige of justice to use the criminal “justice system ” to force this insane american, puritan and immoral quest to dictate to other wise non criminal citizens to abstain from “drugs” and dictate to them what they should and should not consume into thier bodies. NOBODY SHOULD TELL ME WHAT I CAN ABD CAN NOT DO WITH MY BODY. MAT indeed. This is called “Giving dope to addicts”. Note that Naltrexone, which is not an opiate, had 4 — 4 — prisoners using it. I don’t object to giving dope to addicts. In a lot of cases, it is the most useful option. I’ve worked in both abstinence oriented and maintenance programs, and can see virtues in each. Calling it MAT is a bit much. What we are seeing is the result of the complete medicalization of the addiction cycle, from beginning to end. We now believe that most opiate addicts start their careers with prescription meds; we now also believe that the best way to stop those careers is with prescription meds. Ironies abound. Our thinking about addiction is now less helpful than it was 50 years ago. MAT indeed. Methadone isn’t “dope.” Suboxone is a partial agonist and respiratory failure is almost unknown. The quality of life when comparing those in a MAT program to those using street drugs speaks for itself. This article discusses a population that is significantly more at risk for overdose death then the average addict and the use of MAT has cut that potential in half. Awesome study with life-saving implications.